We offer invoice printing services with a variety of ideas to choose from for designing your invoice, business form or receipt. The most commonly used type is the carbonized 2 ply form while the 3 ply form is also rather popular. 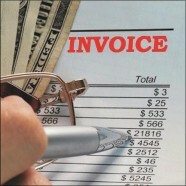 We can also provide a 4 ply, 5 ply or 6 ply invoice for those needing more copies of a business invoice. The most common printing format used in printing invoices is black ink with a PMS colour which is used for your company logo or title. We can add some colour and highlighting to make your logo or title highlight for a minimum additional cost. If you want a form that really stands out, we suggest you use a 4 colour process and reinforce your brand to those using your forms along with improved usability with colour coded sections or elements. This helps enhance the user experience and gives your company a more professional impression which helps increase sales and customer retention.